DELRAY BEACH, Fla. - Dec. 17, 2017 - PRLog -- What Is LucisDollar? 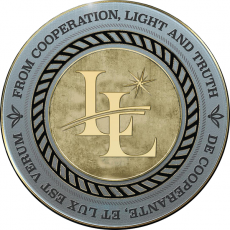 LucisDollar is a new cryptocurrency which aims to become both the industry standard as a store of value, as well as the elite transactional currency in the space. LucisDollars are digital coins which you can store on your computer drive, smartphone, hardware wallet or somewhere in the cloud. Once you own LucisDollars, they behave like physical gold coins: they possess value and can be traded like stocks in popular exchanges. In the future you'll be able to use them to purchase goods and services. "Investor stage" starts Dec 17. Only one day at .05 cents each. ICO is February... Final offering $1.20 each.